"I took a Screenwriting class with Juliet at Vision8Studio. Not only did the class cover basic territory (which I needed, since I never really attempted a screenplay before) but was also practical, to-the-point, and had loads of recommendations for the next step after class. Juliet was clear with the material, encouraging, and unafraid to offer constructive feedback on things that worked or could work better. I cannot wait to take another class here!" 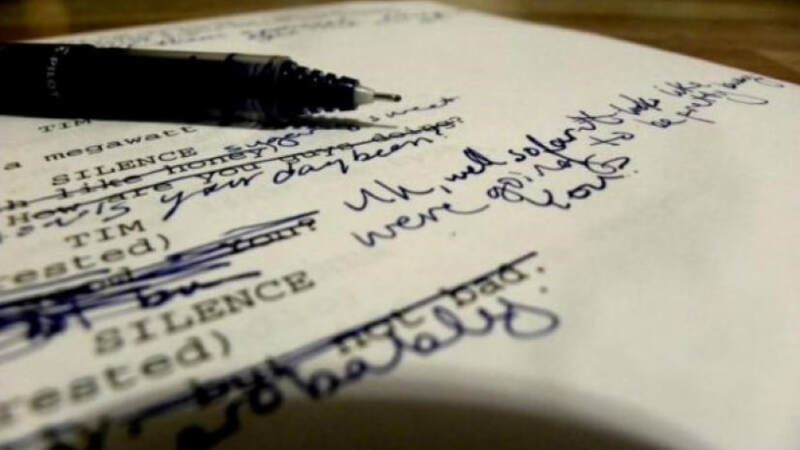 Learn the fundamentals of screenwriting and how to tell an effective story. While taking the Screenwriting Course here at Vision8Studio, I was intrigued by how much knowledge I had been given by the instructor of the class. I frankly felt like I was sitting in a high-level professional course that only very few have the opportunity to get into. I would recommend this course and the rest of the classes at Vision8Studio, they are simply the best. $99 - Payment covers both classes. "Juliet Tango Mylan was a wonderful writing instructor. She has years of experience in writing screenplays and was generous in giving the class her advice for how to get scripts green-lighted. She gave us practical advice for how to write a screenplay in just two classes. We studied award-winning Hollywood screenplays and were encouraged to model our own work after those. She provided us helpful and targeted written feedback about our works that we were able to use to improve our scripts. I'd definitely work with her again! Thank you, Juliet." Juliet Tango Mylan - Founder and CEO of Just Some Movie Junkies. With over a decade of screenwriting experience, Juliet has tried her hand at almost every genre in nearly every format of writing for the screen. A graduate of the Vancouver Film School writing program, she went on to study at the Praxis writing center in Vancouver, British Columbia. ​Her first job in Hollywood was a script reader for Paramount. Since then, she's worked as a story editor, script consultant, and writer. She has returned to Portland, preferring to work on her own projects outside of studios. Among her credits in Portland: Writer/Creator of the web series Turning Tricks, Writer/Director for the award-winning short film Freeze Frame, and most recently Producer/Assistant Director for the Web Series Death and the Pursuit of Happiness. She's currently working on a novel, comic book, and new television series. ​Juliet has been an instructor at Vision8Studio since 2016. "I took the intro to Screenwriting class taught by Juliet and got the essentials I needed to begin crafting my own stories for the screen. Come to this class with ideas ready and you will come out of it with a confident understanding of the form."